Don't call them X-babies anymore! 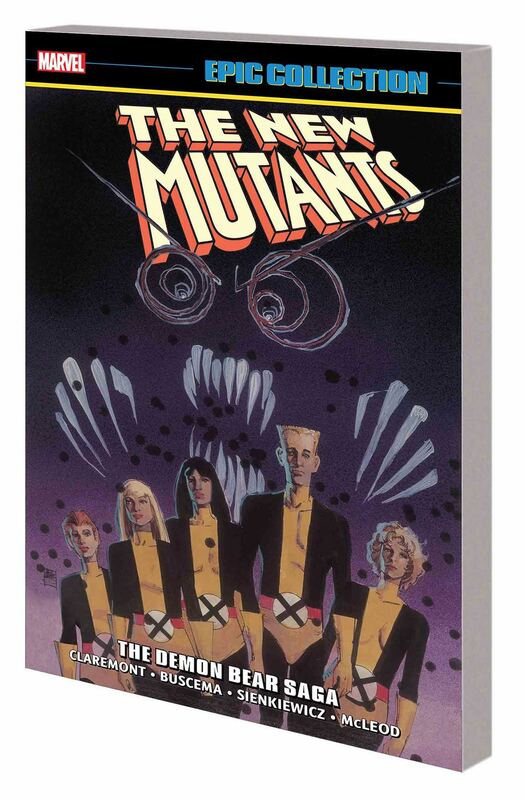 Visionary artist Bill Sienkiewicz transforms the New Mutants, and the young heroes' lives will never be the same! New recruits Magma and Magik find their footing at the school - but when the team tries to rescue Kitty Pryde from Emma Frost, will they all end up as members of rival mutant team the Hellions? Then, the Demon Bear that haunts Dani Moonstar bares its teeth! Will the New Mutants survive the Bear's ferocious attack - and if so, can they make a new friend in the alien called Warlock? Plus: A cosmic caper introduces intergalactic rock star Lila Cheney! When Sunspot and Wolfsbane are in danger, only Cloak and Dagger can help! Professor X's son, Legion, makes his mind-bending debut! And an old friend/foe makes a shocking return! Collecting NEW MUTANTS (1983) #13-31 and ANNUAL #1.